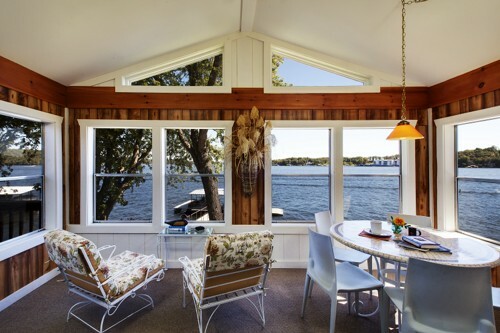 What Guests Are Saying About…The Heron House | Crystal Water Villas Blog - Lake of the Ozarks! What a wonderful property for family and friends. You’ll feel comfortable the minute you park in the driveway. The 4 bedroom 2 bath property includes several desirable amenties for an vacationing guest: dock with swing and water toys, covered and open decks, a great 3 season sunroom, two living spaces and great surrounding landscaping throughout. And if you need a bit more room, rent the companion property – Blue Gill – that sleeps up to 4 more guests! Beautiful view! We might just have to get over to Lake of the Ozarks and do some taste testing..